Freistadt Base is run by the Independent Mining Guild (IMG) to provide support for the mining of Copper, Cobalt, and Silver from nearby asteroid fields. Of course, the IMG asks few questions about where the ore was actually mined, and a few Red Hessians have been known to take advantage of that fact when selling their goods. 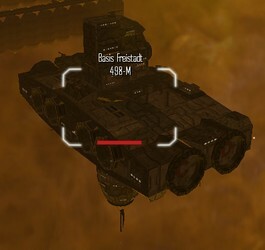 Gateway Shipping handles most of the cargo runs from Freistadt, while Deep Space Engineering teams and members of the Bounty Hunters Guild are also frequently seen aboard.